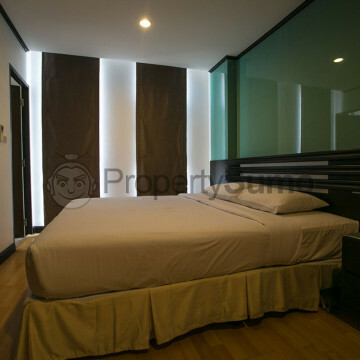 Built in 2005, the Twin Peaks residence offers the height of luxury living in Bangkok. 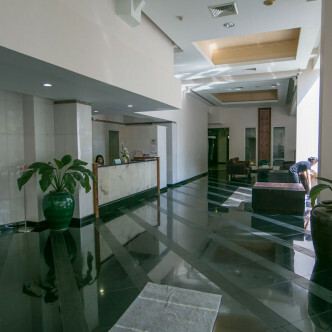 The lobby is nicely finished, with marbled floors and walls, green plants and a front reception desk. 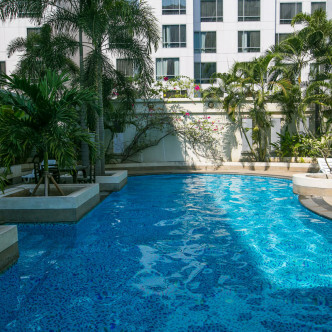 The quality of the facilities is just as high with a swimming pool, sauna, fitness center, and even a restaurant is available! 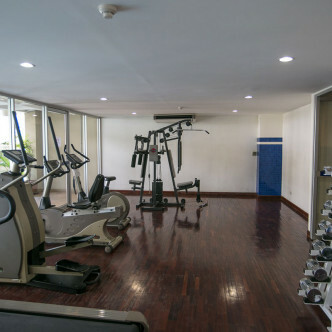 The pool has been beautifully finished, moulded with curves and surrounded by green shrubs and the well-equipped gym offers both machines and free weights. There is also 24 hour security. 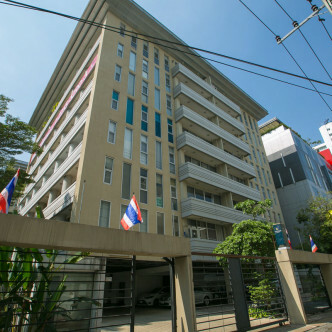 Asok is a fabulous location to live in Bangkok, offering public transport via both sky train and underground with the BTS and the MRT having a base there. There are so many different and popular bars and restaurants you will be spoilt for choice where to go if you enjoy eating out. 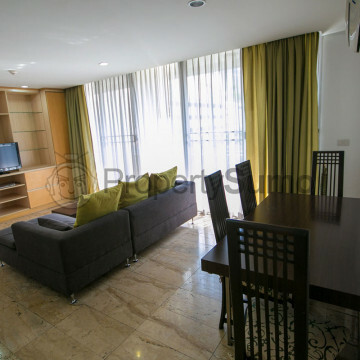 It truly is a great location to make the most of living in Bangkok.